2011 was the year when she was challenged to be involved in the 4/14 Window, a movement that focuses all their evangelism efforts to reach children between the ages of 4 and 14. She developed skills as an evangelist, interpreter and also as a teacher. She embraced the idea that a teacher is someone who partners with the parents to raise children in God’s way. That is the reason she ended up attending the Teachers for the Nations school at Youth With a Mission (YWAM) in Texas. This school prepares leaders to be able to influence the spheres of society with Biblical principles. The teachings revolutionize the mindset, that is useful not only in a classroom but in the Christian character of each individual. 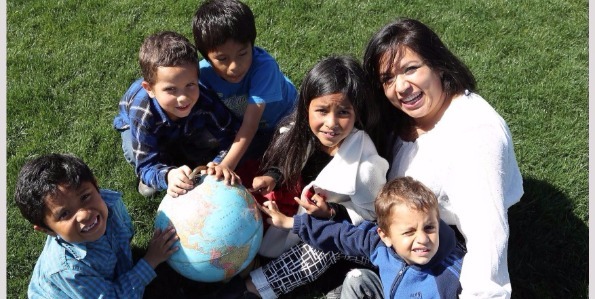 2015 Lindsay served as a primary teacher for the youngest students at KLIP International, a K-12 school in the Central Valley of California that reaches out to Mexican families. Her resourcefulness, charisma, and love for children help her to make memorable lessons while the students learn God’s principles. She brought to Colombia her professional teaching experience and was a pioneer to start the School in Bucaramanga CHS with YWAM as she continued staffing the training teachers school. Her role as a Christian single lady is to keep knowing God in deep and be an ambassador to restore the Education in a way people love the learning process by understanding God’s providential purpose for it. She receives invitations from homeschool families and churches who want her as a teacher in Bible or English phonograms.